NEW YORK (WABC) -- A sign of the season returns! Saks Fifth Avenue is bathed in light for this year's holiday light show. More than 225,000 lights transform the store's front facade into a "Winter Palace" complete with crystal spires. A 200-member strong choir from The Oratorio Society of New York and Cathedral Choristers of the Cathedral of St. John the Divine performed a holiday carol. 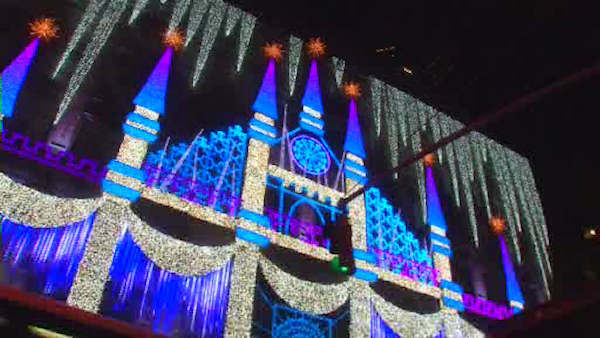 The store also debuted its holiday windows with wintery versions of some of the world's greatest wonders.